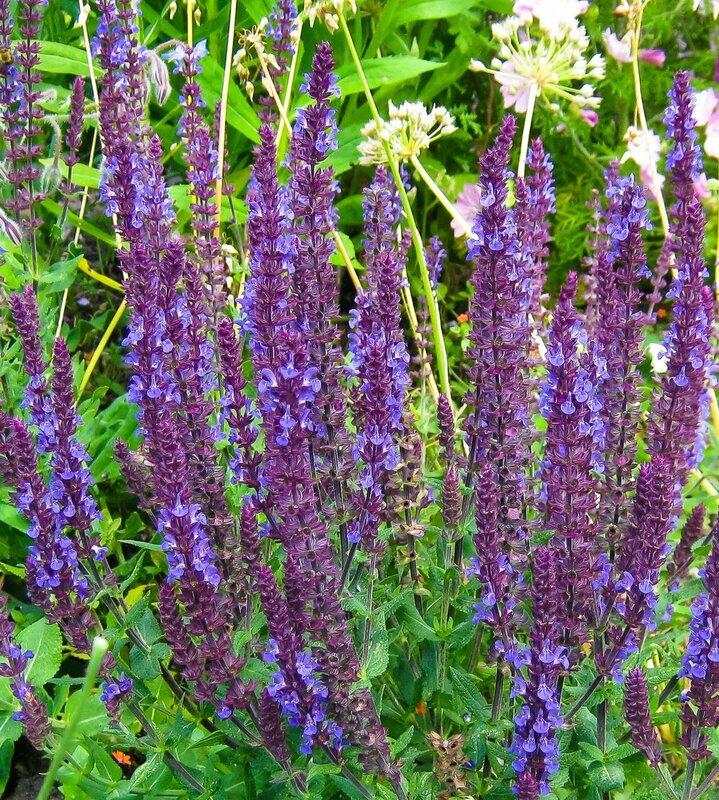 Salvia is a large family of plants and includes both annuals and perennials, native and exotic, many of them herbal. Most of them are good for bees but this does not include the brightly coloured bedding plants that are sold in most garden centres as, even if it produces some nectar, the flower tubes are too long for the tongues of most British bee species. 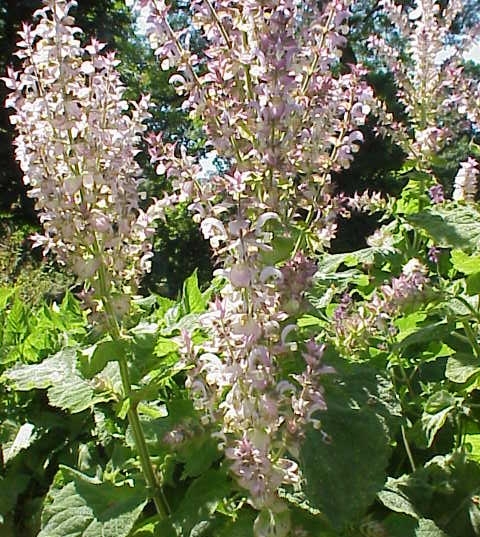 clary sage - native dramatic hedgerow plant with multiple pale pink spires reaching 120cm in mid-summer. This one attracts less bees but plenty of butterflies and moths. The bees seem to really love these. They love all poppies, but these blooms each stay open for about a week providing huge loads of black or dark purple pollen. We have observed both honey and bumble bees coming out with large bulges on their back legs; so heavy they look like they are having trouble flying. The oriental variety doesnt exactly look natural in a meadow, because the flowers are much larger than the native poppy, but does have the advantage of being perennial so that you can guarantee it will flower every year without fail and is fully hardy. 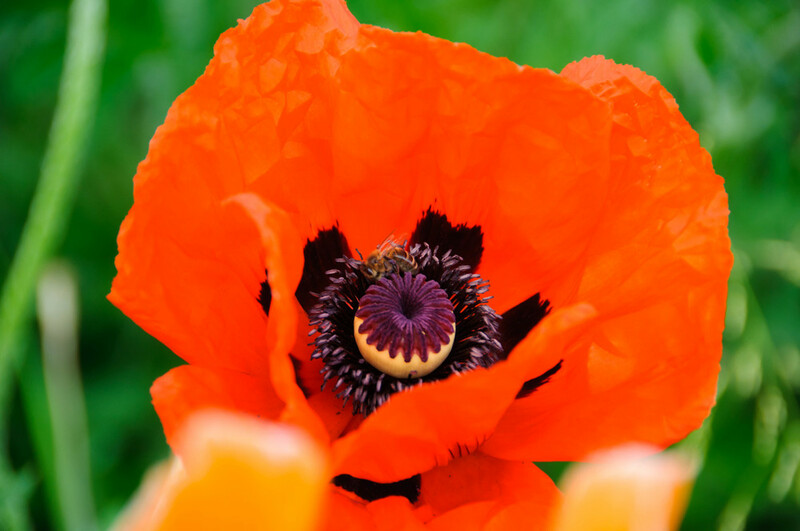 This makes it an ideal garden poppy and has the added advantage that it lends itself to 'succession planting'; after it finished flowering at the end of May you can plan to have another plant grow into its space. This works well with a later flowering perennial like rudbeckia or helenium.